Internal UX teams have popped up in organizations of all stripes over the course of the past decade. Many of these teams haven’t reached maturity, resulting in teams either doing design work that goes underutilized, or producing work without a thoughtful design process. We’ve seen it all, and we can help. As this webinar covers, effective UX teams excel in three areas: people, process, and purpose. The designers are engaged and respected, enabling them to do the best possible work. The design team has an intention that drives their work and propels them forward. The organization holds user experience metrics to the same level as other business metrics. The design team is aligned around a known purpose and intent. The UX design team has executive access or representation. Getting more from your UX team starts with a thorough understanding of what you have today, looking both at the broader organization as well as your team to identify areas where things aren’t quite as strong as they could be. Once you’ve identified the gaps, develop a plan for addressing those opportunities over time — some things, especially within the UX team itself, may be able to resolve quickly. Other issues, especially those at the organization level, take more time and effort. Need help? Fuzzy Math’s UX Org Design services are tailored to just this scenario. 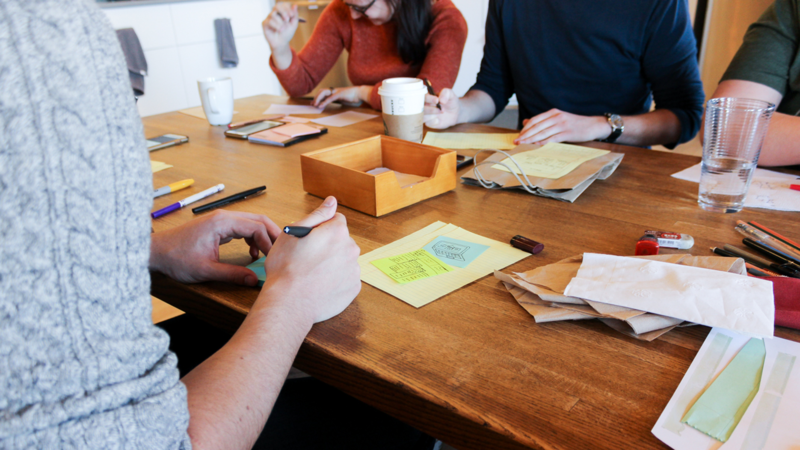 We bring our experience working both as a UX team, and with teams at organizations of all sizes across industries, to help your team recognize it’s true potential. Whether you’re just starting to build a design team, or have an established team looking to take their work to the next level, Fuzzy Math can identify opportunities and work with your team to develop strategies for growth.